Wearing a crop top which is slightly long and provides coverage for your midriff totally hides your problem area without compromising on the trend. Best bet is to buy the ones that reach till your belly button or near. Co-ords create an illusion on slimmer and taller you. Perfect outfit option for a brunch with friends. Monochrome outfit is the fashion world’s most trusted hack to hide the problem areas and to give you a slimmer look. Wearing monochrome outfits all the time can be boring at times. Introducing colors to your outfit will make it a lot more interesting, just keep in mind to pick a plain bottom wear so it can still contribute to creating an illusion of slim frame. Layering is another hack that can be used to hide those bulges beautifully. They are the perfect options, plus they look cozy, cute & posh. 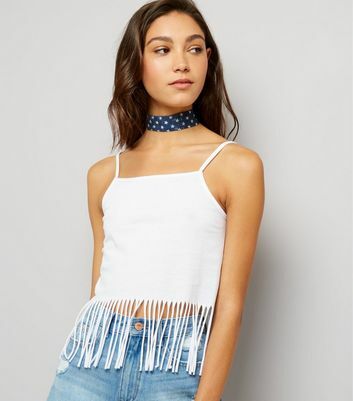 Fringe crop tops are another unusual and smart way to cover your midriff. The fringes extend to give you the coverage you need, still showing some skin. Crop tops with off shoulder and cold shoulder detail are great away to take away all the attention from tummy to your shoulder, this way you can look slimmer without trying much! Another interesting way to take away attention from your tummy is to try statement sleeves. Make the most out of this latest trend as it definitely looks amazing & is perfect for date nights. Whether athleisure or cute girly looks, lace up styles can be seen in trend everywhere and why not? They easily take the outfit a notch up in looking stylish and edgy. And this tip completely steals the attention, hence helping you mask your problem areas slyly! Still think you are too big to wear that crop top? Give these hacks a try and change how you feel about crop tops completely. Do let me know which tip worked the best for you? I recently came across this website and I am drooling over almost every outfit! If you are a fashionista who likes her outfits to always be in trend then you already must be knowing which website I am talking out! Yes, it’s Zaful! If you aren’t familiar with them, you need to hop on to their website right now! Still confused? I have a code especially for you guys! It’s Romper season. Click for Best ideas of floral rompers. I love crop tops! They all are so cute! I don’t have one, but I think I need one! Love your top with those beautiful sleeves! The lace top is lovely! These are such great ideas! I really like the monochromatic look. And layering with a long jacket. So cute! These are all such cute looks! I’d love to try a high waisted pant style with a crop top! These top crops are lovely! Love all your styling suggestions and inspiration pics! I need to get a white crop top asap. I love crop tops too! White looks so cute! Such great tips! Crop tops can definitely be tricky to pull off, especially the older we get! I love a white crop! They also layer really nicely under dresses! Great tips on how to wear crop tops!!! I just tried one today and it looked very nice!! What a great color! You look lovely! Such great tips on wearing a crop top! They can definitely be intimidating, if you’re one who doesn’t like showing much skin, like myself, but you’ve really made some great suggestions here. Thanks for sharing and I hope you’re having a great week so far! You are so right about this must have, loving this! I love white as it goes with everything!! Wearing a crop top with something high waisted is good if your not wanting to show too much skin! Love this trend, it’s so easy to wear and so chic ! Great post! I want them all! I love the monochrome look and I think a crop top can look so cute with something high waisted. Crop tops are my favourite for summer (well, allayer round actually!)! Great ideas and I particularly love the one about statement sleeves! Love white crop tops. Total must-have in everyone’s closet! Crop tops are so in right now! Loved reading and looking through these pics. I have to agree! This is the perfect piece of clothing for summer. I really like some of the more refined shapes I am seeing on your outfit suggestions. Make mine a white shirt/white t-shirt though. I am getting older after all.